V well appointed & cosy cottage with every comfort provided. Plenty of facilities in the kitchen with more than enough tableware and cooking utensils etc so we felt it was home from home. We hope to return. Great little cottage, in a lovely area. 2 great pubs within easy walking distance, and lots of great walking as well. Small garden area but great for sitting with a nice bottle and enjoying the peace. 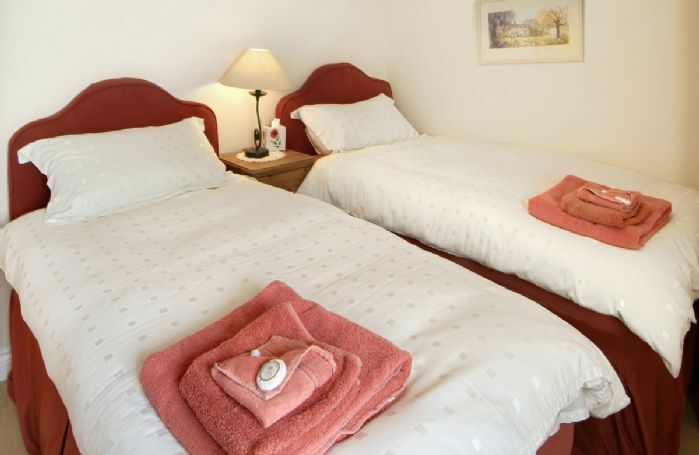 The cottage is very well appointed, and a superb welcome package supplied which was a very nice surprise. This was our second time at Cider Press, the only time that we have returned to a Rural Retreats cottage though they have all been good. The reason for our return was because the property is on one level, though more like a cottage than a bungalow, and suits my 88-year old mother who comes with me and my husband. Furthermore, she prefers a traditional bath while we like a shower. Most unusually, the master bedroon has an en suite shower room and the twin-bedded room a bath which is perfect for our needs. The third separate toilet makes getting ready to go out so easy. The living room is comfortable and well provided with games if needed. The kitchen too is excellently equipped as you come to expect with RR cottages. The housekeeper does a fabulous job. My husband described the cleanliness of our bathroom as 'clinical' and the welcome hamper was used to the full. We used the garden twice for eating out. The June weather was gloriously hot and we were able to settle under the shade of the tree in the pretty garden for our meals. 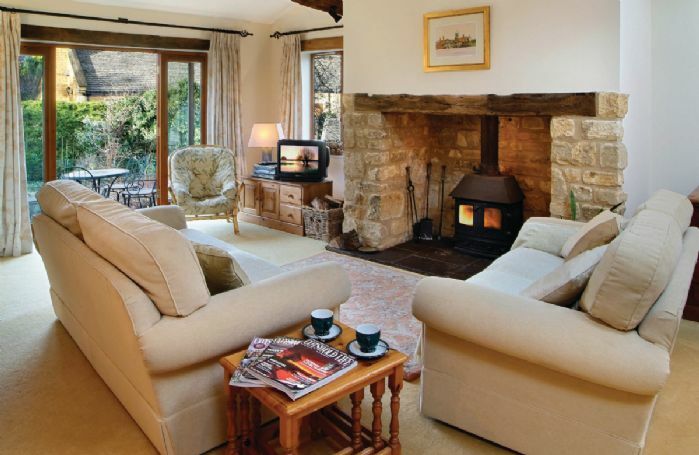 As well as being near many places of interest in the Cotswolds, Cider Press cottage is in a super location for quiet village life with two nearby pubs and pleasant walks as well as a cooperatively run village shop with high end produce and cards. The only reason I cannot allocate five stars is because of a problem with the water supply possibly caused, we were told, by the building of some new houses on the edge of the village where there was a mishap. Unfortunately, this meant that on returning on our first night, there was no water. Instructions in the cottage about the stopcock are confusing so we tried both under the sink and behind the bath panel to no avail. Finally, on asking a neighbour, we were told that this had happened to all of the houses before on more than one occasion leading to the local water company delivering large numbers of water bottles to doorsteps. It was difficult getting through the first night and wondering what might happen the next day. Due to a kitchen tap being mounted the wrong way round, we were woken by gushing water from that tap when normal service was resumed. Luckily, we were able to continue with our holiday.The previous guests also mentioned the water being cut off the day before our visit. Obviously, this is beyond the control of the owners of Cider Press but they do need to be aware, as do Rural Retreats, of the hardship suffered by no water. Thank you for your review and lovely comments about Cider Press. The problem with the water was indeed an emergency and the first thing that we knew about it was when our housekeepers saw the bottles on the door step. As you say this was totally beyond our control but we do appreciate that it will have affected your stay.. It was our second visit to our favourite Rural Retreat cottage.The cottage suits us perfectly,being all on the ground floor and extremely comfortable. It is located in an idyllic Cotswold village with a convenient volunteer run shop and cafe and we hope to visit again. 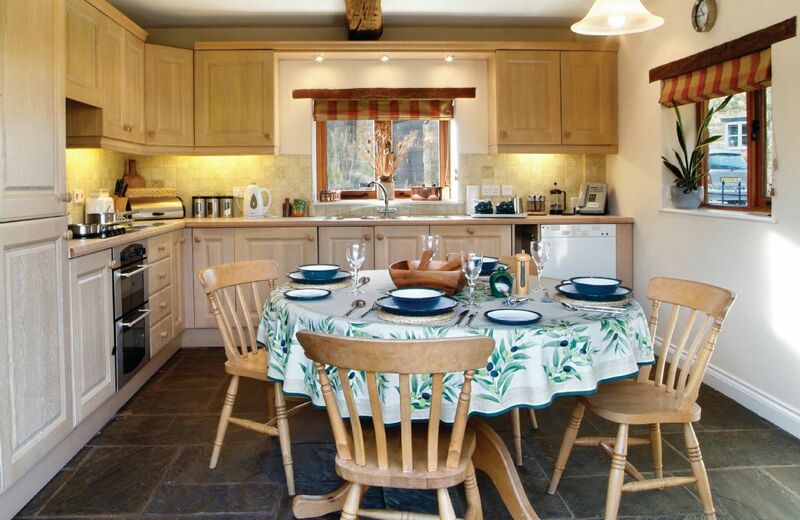 A lovely cottage, very clean and well equipped. Lovely comfortable cottage in fantastic location. Great walks on the doorstep. Generous welcome basket was much appreciated. Good local community shop and local pubs. Will definitely return! Perfect for myself and 2 elderly ladies! !Warm and situated in a lovely village the snow heightened the experience! we enjoyed the cottage,bur were supprised to find a very musty smell in the shower room, also we were not happy about the broken velux sky light in the same room, plus there were signs of damp in the double bedroom.the central heating was not very reliable, we had to reset it several times. the lounge was not as warm aas we would have liked it. Thank you for your feedback. We are very sorry that you had some issues with your stay at Cider Press and our maintenance team are now mending the sky light and looking into the other issues. This is a favourite cottage for us over the years. A minor problem with hot water was rectified within the hour. Excellent , look forward to our next visit. Perfect I couldn’t have arsked for it to be better. This is a well presented cottage with all the necessary amenities. It felt like a real home from home and provided us with the perfect base from which to explore the nearby sites. If you stay in the winter months and intend to walk to the local pubs, make sure you have a torch. We were surprised how dark it was when we left the property at 6.30pm! 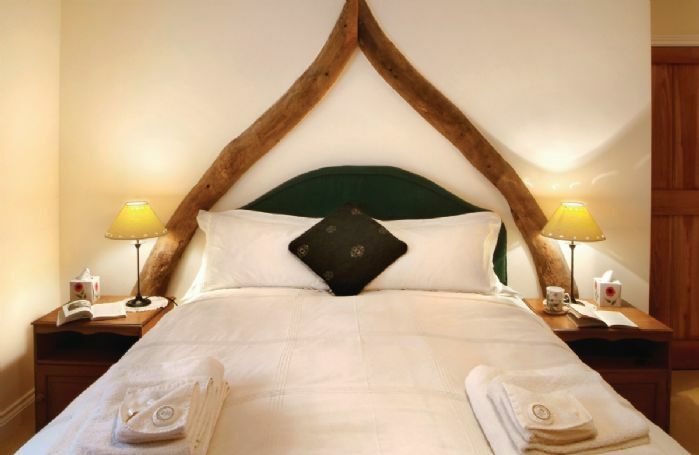 You won't want for anything if you choose to stay at Cider Press. Cider Press is as you say a home from home and thank you for your lovely comments. All needs included and good location. Excellent location; lovely village. Cottage very cosy. Would have rated 5 stars, but for a damp problem in the store cupboard which needs attention. Thank you for your lovely concise feedback. Sorry about the small shower. The cottage was superb in a lovely village location. It was clean, bright with all the facilities of home with a lovely welcome hamper. It had the bonus of being in within easy walking distance of two pubs and a village tea shop. Also great for dog walking from the door. Although Cider Press cottage was beautiful and very spacious, the settee 's could do with a clean, as they smelt as though dogs had been on them in the past. Also the light above the bathroom mirror in en suite did not work. Thank you for your feedback. I am pleased that you thought Cider Press was beautiful and I will pass on your further comments. 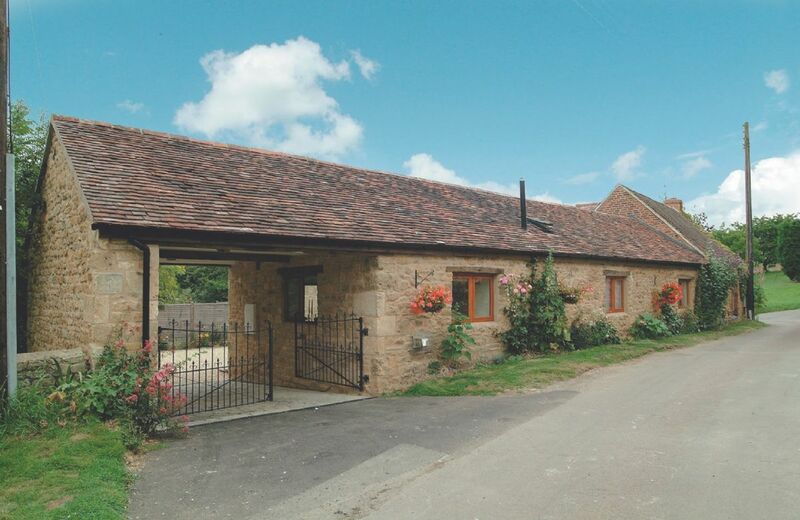 Cider Press Cottage is a light, warm and spacious semi-detached property offering accommodation on a single level. Converted from a Cotswold stone barn, it is situated on a quiet no through lane in a conservation area, with scenic walks onto Ilmington Downs starting a few yards from the front door. Ilmington is an attractive village, criss-crossed by footpaths, and lying in a designated Area of Outstanding Natural Beauty. Two traditional country pubs (including the Howard Arms, well-known locally for its excellent restaurant) are within walking distance of the cottage, in addition to the well stocked village shop. Places to visit nearby include Chipping Campden (4 miles), Stratford-upon-Avon (8 miles) and Hidcote and Kiftsgate Gardens (2 miles). 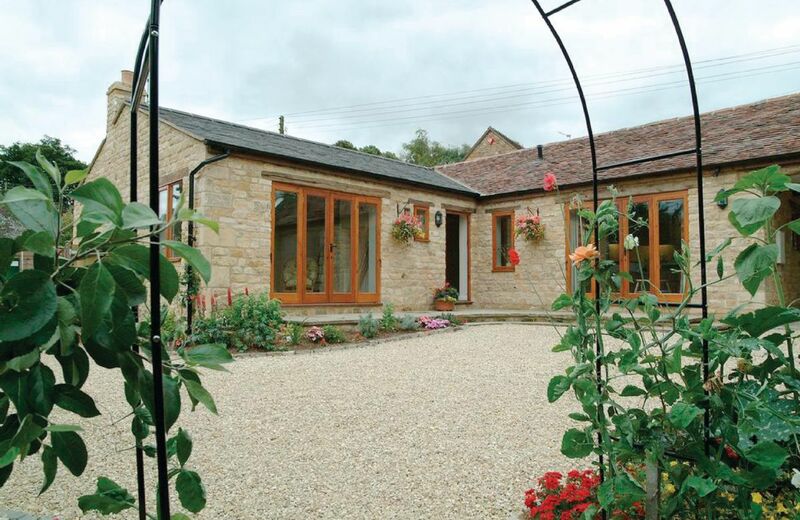 A short drive away you will find the town on Broadway, often referred to as the “show village of England” due to its beautiful honey coloured limestone buildings, some of which date back to the 16th century. Visit the Broadway Deli to stock up on all the lovely, local produce that is beautifully presented inside and outside of the shop. 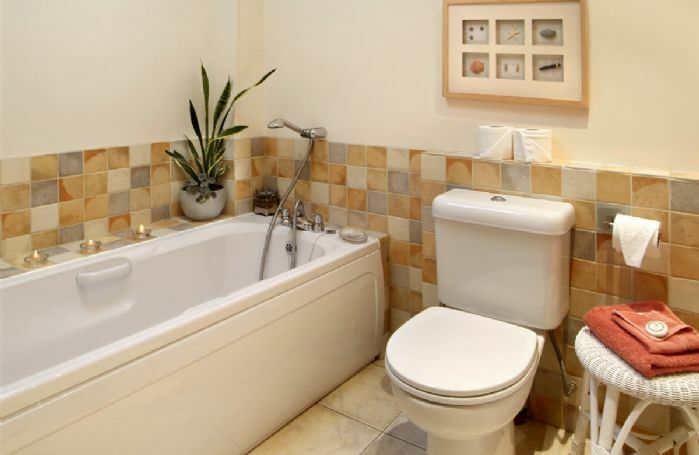 Two bedrooms, one double bedroom with en-suite shower room and one twin bedroom with en-suite bathroom. Private, gravelled garden to rear with patio and small stream (toddler proof). Underfloor heating in hall and kitchen. TV, video, DVD and CD player. Electric hob and oven, fridge/freezer, dishwasher, washer/dryer. Tucked away, just off the village square. Perfect walking area with stunning views from the highest point in Warwickshire and overlooking several counties. Excellent children’s outdoor playground a short walk away. Within walking distance to The Howard Arms and The Fuzzy Duck.